The Jinyu YH12 225 45W17 is an all season tyre with safety and comfort at the forefront of it’s design. The unique tread pattern with added silica combine to provide excellent grip and handling in both wet and dry conditions. 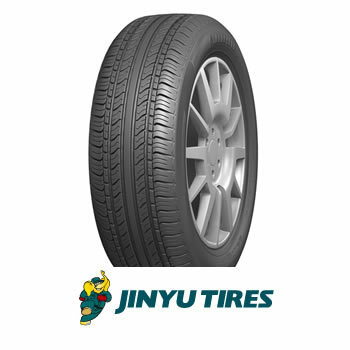 The Jinyu YH12 225 45W17 is an all season tyre with safety and comfort at the forefront of its design. The unique tread pattern with added silica combined to provide excellent grip and handling in both wet and dry conditions. 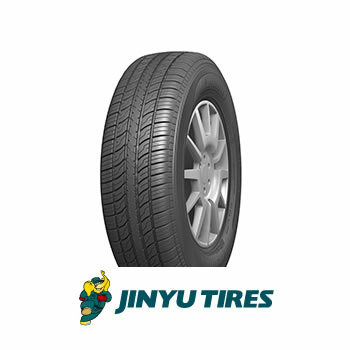 The Jinyu YH12 225 45W17 New Tyres is an all season tyre. These tyres arrive with safety and comfort at the forefront of its design. The unique tread pattern with added silica combines to provide excellent grip and handling in both wet and dry conditions. Pellon Tyres also offer a full range of Jinyu winter tyres at very competitive prices to suit all pockets. Jinyu YH12 225 45W17 New Tyres are made to pass all European tyre standards and have an excellent rolling resistance making the tyres environmentally friendly, in particular for an economy brand of tyre. We are so sure about the level of the Jinyu YH12 225 45W17 New Tyres products that we give a 6-month guarantee with every one of these tyres sold. The warranty also covers the Jinyu tyres against accidental damage in that period. So in the unlikely event that you cut or damage the tyre in any other way, within the six months period, we will replace the tyre free of charge. For any tyre advice telephone 01422-351314. We are there to help you.